Microsoft took center stage on the first day of E3, with interesting announcements of Natal, Facebook and some nice plugs for the new games coming out. How will Sony and Nintendo respond? Rumors have been swirling around the Sony camp for some time regarding the PSP’s successor ranging from digital delivery to a sliding design and a more compact size. All of these rumours are true. The PSP Go, set to debut at $249, will feature a compact sliding design and does away with the UMD drive and will be digital download only. I have varying opinions on the decision to do digital delivery only but I think the design is really sleek and attractive. It’s even smaller than a DS or DSi, both open and closed. 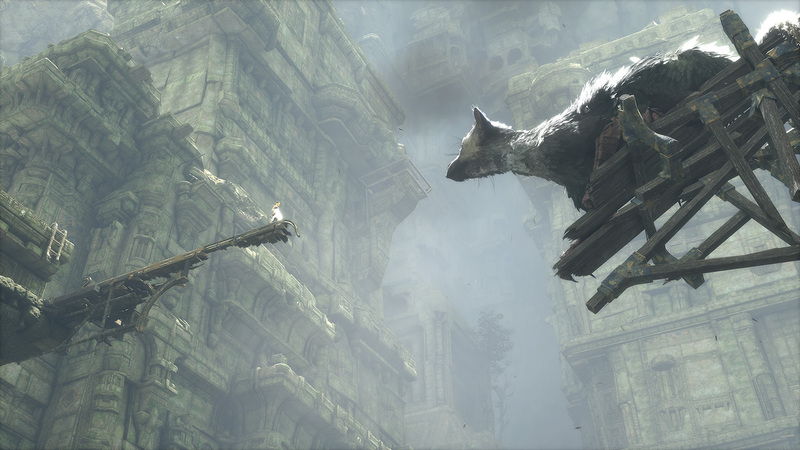 Of course, not to be outplayed by Microsoft announcing motion control, Sony announces motion control. This announcement was followed by me banning the words motion and control appearing in succession. I kid. It utilizes the PS3 camera, and two motion capturing wands that can mimmick various items, including a bow & arrow which was used in the tech demo. I don’t know about this, I’m going to have to have a discussion about motion sensitivity and why it’s all the rage. Sony quietly plugged some of the expected releases, including God of War III and FINALLY giving a solid release window for Gran Turismo Portable, which I assumed to be vaporware by this point. Nintendo, content with the fact that the Wii and the DS print money without much effort actually had some really strong announcements. With Wii Motion Plus around the corner, everybody wants to see Nintendo announce some new games. Well, they did exactly that by announcing Metroid: Other M, Super Mario Galaxy 2, Golden Sun DS, Wii Fit Plus and New Super Mario Bros. Wii. Oh, the big N also announced a vitality sensor to clip to the Wiimote and your finger to monitor your vital signals. Weird. On to some game impressions from today! Uncharted 2: Among Thieves – Trailer looks amazing. Gunplay looks solid, story looks incredible, game engine looks better than the first. Still my favorite PS3 game to date, and one of my favorite games ever, Uncharted 2 looks to be even better. A lot of new action sequences that have Nathan Drake flying on ziplines, throwing enemies at walls and clinging onto wreckage for dear life. Excited. Super Mario Galaxy 2 – Still haven’t beaten the first Galaxy, but more planets, 3D Mario. Maybe some co-op would be fun, online co-op? 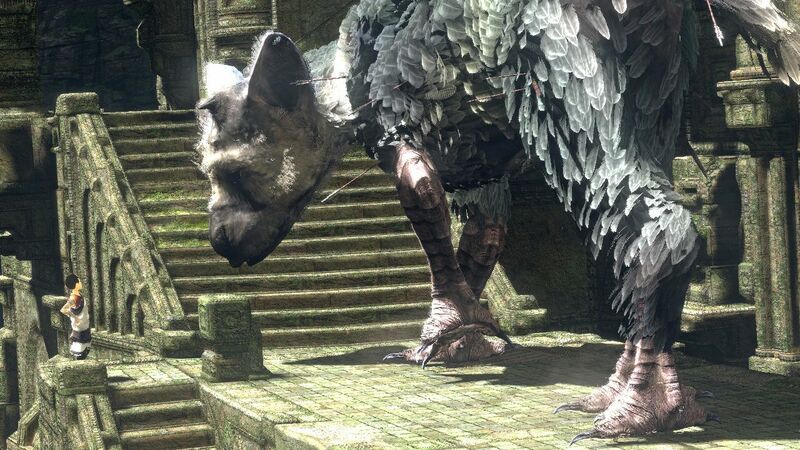 The Last Guardian – The latest by Sony’s Team Ico, need I say more? I only skimmed the surface of Ico but loved it and have been meaning to get back into it. 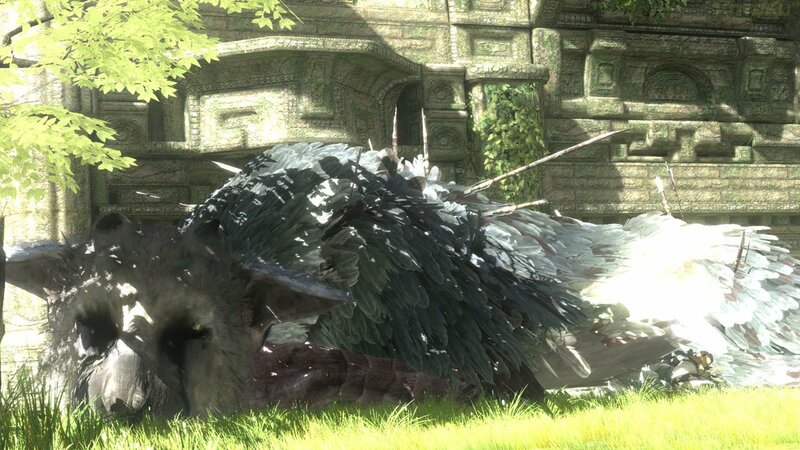 Their second game, Shadow of the Colossus was an incredible experience and one of the finest games ever made. Not too sure what to expect, but the art directio and stylization look incredible. Final Fantasy XIV – The online successor to FFXI, FFXIVwill have all the old races from FFXI and will be built around the PS3. Hopefully a little PC love will be shown too, it was one of the things that made FFXI so accessible. Maybe when XIV launches, I can hang up FFXI for good. God of War III – Not only is Kratos still killing with a vengeance and generally causing chaos in ancient Greece, but he’s also slated to appear in the PSP’s Soul Calibur: Broken Legends. This fits better than lightsabers. Maybe. He can’t be as broken as Yoda. Gran Turismo Portable – It exists. It’s coming out this year. Can’t wait for some solid footage and media on it. Metroid: Other M – The big N is already remaking the Prime trilogy for the Wii. How do you top it? Oh, make Team Ninja the developer behind it. GENIUS. Metal Gear Solid: Peace Walker – Portable Ops was a great great game for the PSP. I expect nothing less for Peace Walker. Said to take place 10 years after MGS3, so a little bit after Portable Ops. The transition should be to Solid Snake instead of Big Boss and it looks like the clones are involved to. A prequel to the rivalry that we all love? A lot more sneaking than MGS4, so back to the known formula. Why isn’t this being made for home consoles? Golden Sun DS – Before Animalese, there was Golden Sun-Speak. Maybe those quick voices will be ousted by full voice overs, but Nintendo’s traditionally loyal RPG is looking to make a strong return on the portable console that all the new RPGs are flocking to. No More Heroes 2 – Travis Touchdown is back, with two beam sabers. Let’s hope Santa Destroy isn’t quite as…blocky. Some footnotes…Sin & Punishment 2 to come to Wii…Forza Motorsport 3 has added modes of drift and drag…Metal Gear Solid Rising is multiplatform on 360/PS3/PC…Assassin’s Creed 2 drops in November…Perfect Dark to grace Xbox Live Arcade…No Zelda this year, but Shigeru Miyamoto wants to announce it next year. Two years working at the paper and I had no idea it was a she.